Verla Mae Phillips was born to Pearl and Glen Cole in Exeter, Missouri, on November 17, 1930. Verla passed away February 1, 2019. A public visitation will be held for her Tuesday February 5 from 3:00 – 6:00 PM at Prineville Funeral Home. A celebration of her life will be held on Wednesday at 9:00 AM at Prineville Missionary Baptist Church, officiated by pastor Daniel Barker, followed by a graveside service. Verla attended Exeter High School where she met Ermal, the love of her life. They married during his senior year and then moved to Prineville after his graduation, where he took a job with her sister Charlotte and her husband Cole Still on their dairy farm. She enrolled at Crook County High School in her senior year. Verla and Ermal started their family and began a life-long connection with Prineville and Crook County. Their son and first two daughters were born in Prineville. After several years of work in ranching and logging in Oregon and Washington, a career change into the electrical field took them to Eugene, Oregon, where their youngest daughter was born. From the day she married, Verla wanted to be a homemaker and mother. She helped to support her family by selling jewelry and Avon products. In her spare time she became an outstanding gardener. She enjoyed varied crafts including crocheting afghans and Christmas stockings for her children and many grandchildren. She was an excellent bowler with several perfect 300-games to her credit. She bowled in many leagues well into her 70’s. Verla supported her husband when the weak Oregon economy took them to Anchorage, Alaska, for nine years. There she worked part-time in a deli and in real estate while Ermal helped to develop a very successful electrical contracting business, which allowed them to return to Prineville in 1990, where they ultimately turned a beautiful piece of property on the Crooked River into their dream home. Her favorite pastimes in retirement were shopping and playing table games with family and friends, anytime and anywhere. 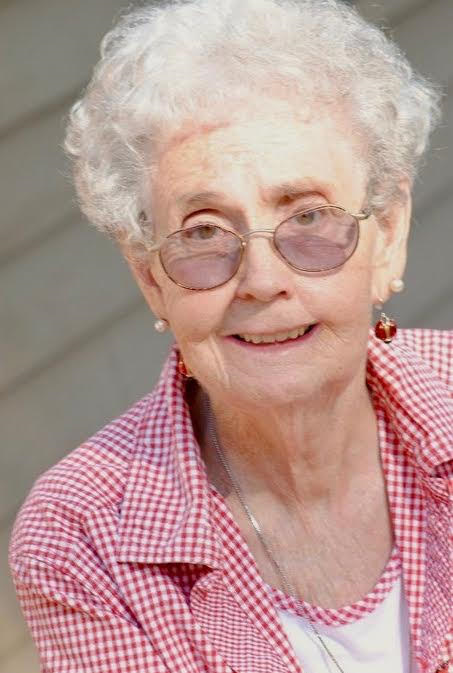 She was a very faithful and active member of the Missionary Baptist Church in Prineville, attending every Sunday until the week before she passed. She loved her Lord Jesus and made sure her family knew Him. Verla is survived by her children: Vickie, Lila, Janice and her husband Bill, and Dennis and his wife Mary Beth. Also by ten grandchildren and twelve great -grandchildren. She was preceded in death by her beloved Ermal, who died in 2011.